Your Personal, Anonymized DICOM Library. 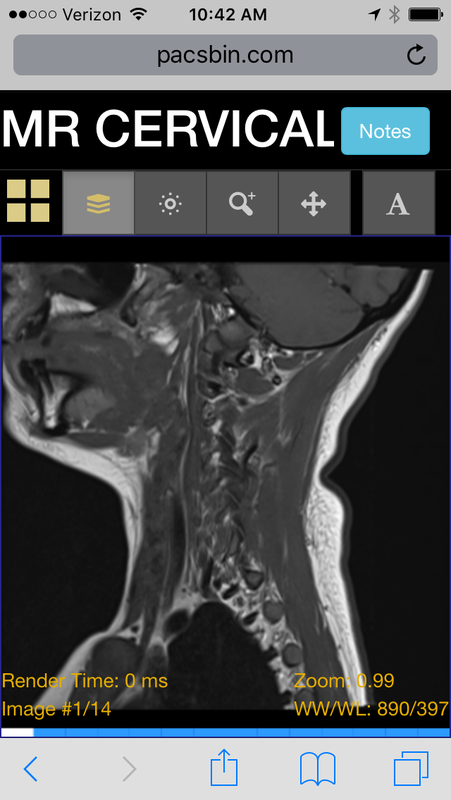 Take control of your medical images. 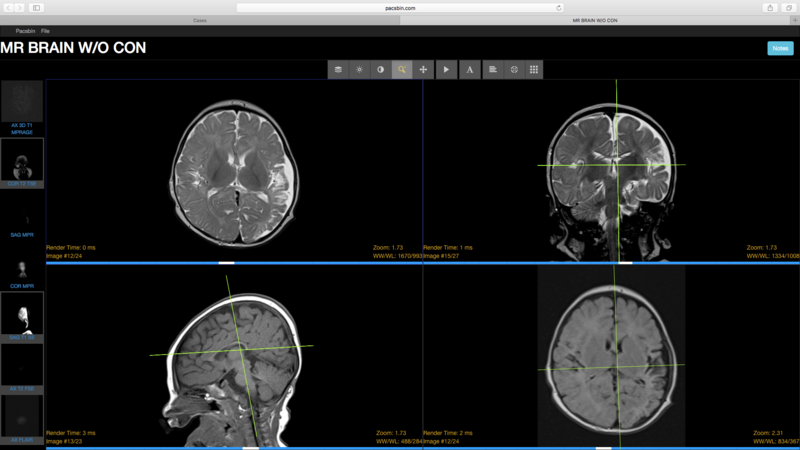 Anonymize DICOM with one click, then annotate, share, post, and embed in a easy to use, zero footprint viewer. No VPN, no retrieving archived images. Simple, fast access to the images you need, forever. Review cases like at a real PACS workstation, in your browser. Simply drag and drop DICOM files onto the secure upload page. All files are automatically anonymized and compressed without losing quality. Have a great case, but you're too busy to go through all the steps to save it? Click the Pacsbin button to start the secure export process and move on with your work. The Pacsbin zero-footprint web viewer gives you all the power of PACS anywhere you have a modern web browser. Switching jobs? Don't worry about losing your cases. Take them with you wherever you go, and download the anonymized full quality DICOM files at any time. All studies added to Pacsbin are automatically anonymized, stripping sensitive information from DICOM headers and removing scanned documents. Easily generate links to share studies with whomever you like, whether across the room or across the world. Share cases as unknowns, or highlight findings with custom annotations.